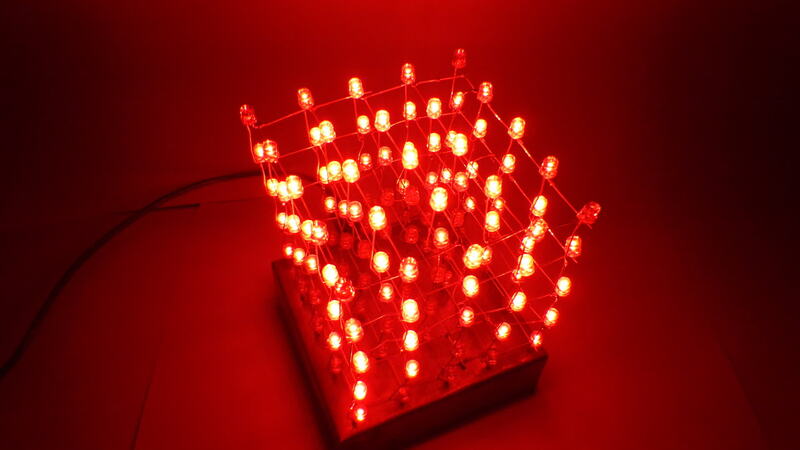 125 red LEDs arranged in a cube, thats my 5x5x5 LED Cube. It connects to a computer using USB and it has 2Kb of internal EEPROM memory, where it stores effects. The main part is Atmega162 microcontroller and 2kB I2C EEPROM - 24LC16B. Atmega162 doesn't have hardware I2C interface, so it uses software I2C from www.eXtremeElectronics.co.in. For USB communication with pc it uses CDC-232 and V-USB library. 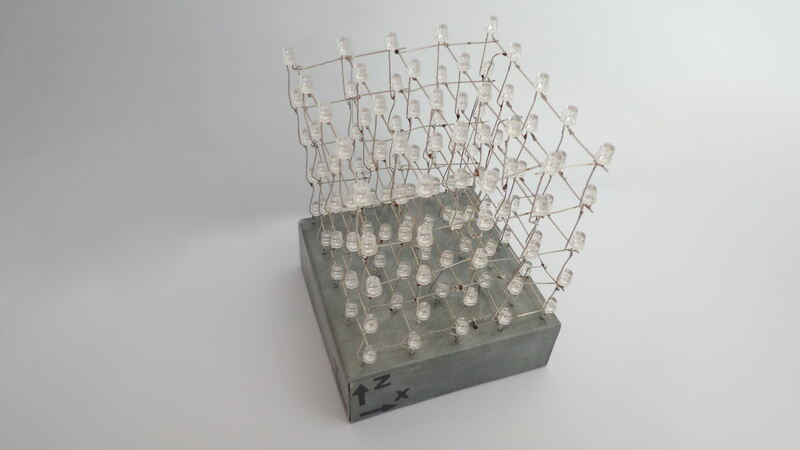 LEDs are connected in a matrix of 5 layers an 25 columns, so just 30 I/O pins of Atmega162 are used for driving the cube. Remaining are used for USB and I2C communication. Host software is written in Qt Creator. 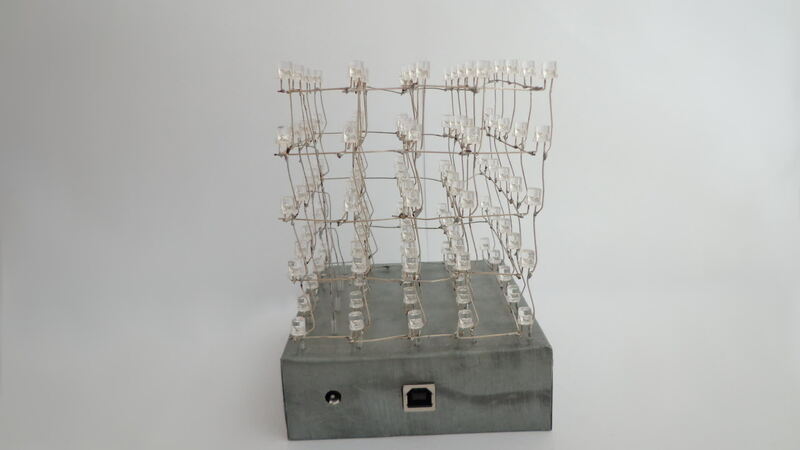 For communication with the cube it uses qextserialport library. 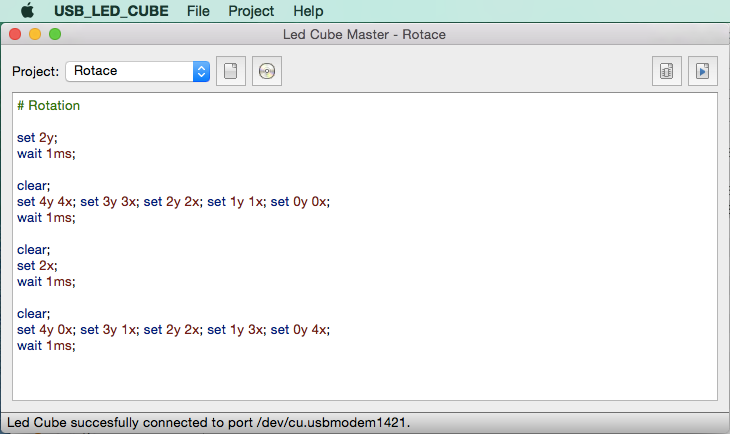 In the application you can create text-based patterns and store them to EEPROM inside the cube.